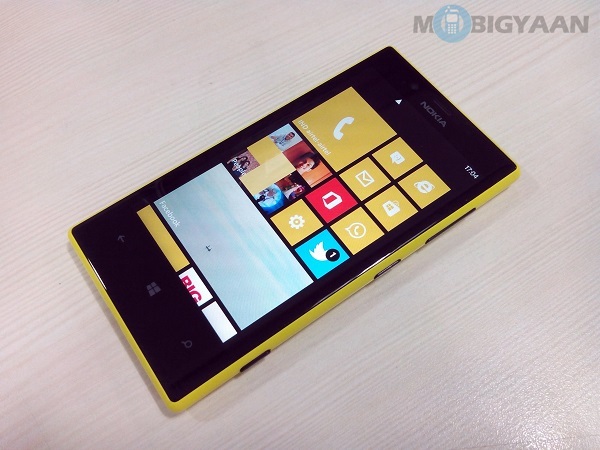 Just yesterday, we reported that the most popular Windows Phone out there, the Lumia 520 has started receiving the Lumia Black update and now the Nokia Lumia 720 Lumia Black update is rolling out with Indian owners reporting that they are receiving the update. Chances are you already know everything about the update but in case you don’t, the Lumia Black update features updates from Nokia with the latest Windows Phone GDR3 update combined. The Windows Phone GDR3 update brings orientation lock, better multitasking where you can close apps from the multitasking interface, the new Driving mode and custom ringtones for individual contacts. Nokia brings Bluetooth 4.0 LE support, new apps like Nokia Storyteller and as we reported the Lumia 720 also gets the ‘double tap to wake’ feature. If you are an Indian Lumia 720 owner, you should check if your phone is ready for the update by going into settings->phone updates and checking for updates. In case your device does not show of any update, you should wait a little as the update might be rolling out to every region gradually. Do tell us in the comments how you like the Lumia 720 Lumia Black update. Now, only the Lumia 620 is yet to receive the update and we are quite sure, it will get the update soon too and as always we’ll let you know.